Cauliflower has become the rage in recent years. People have been using it to make pizza crust, rice, and it’s a great substitute for pasta, especially in Mac and Cheese. Hence the recipe I am sharing with you today. I’ll go out on a limb and say that I actually enjoyed this Cauliflower Mac and Cheese more so than the traditional Mac and Cheese I normally make. 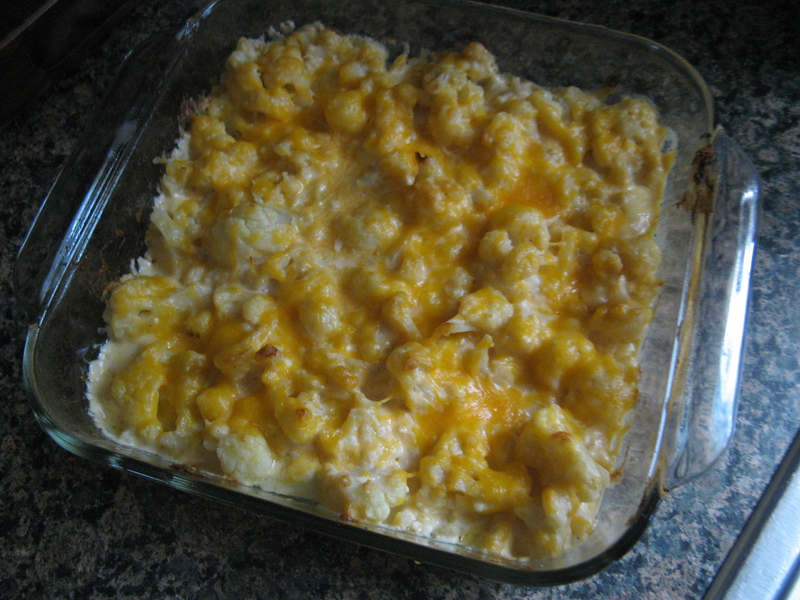 Using cauliflower as opposed to pasta makes the dish a lot lighter and the cheese sauce was much lighter as well since the base is heavy cream and cream cheese as opposed to milk and flour. I began by cutting a large head of cauliflower into small florets. I then boiled them in salted boiling water for 5 minutes until the cauliflower was crisp tender. You don’t want to boil them too long as you don’t want your Mac and Cheese to become mushy. After draining the cauliflower I patted it dry with a few paper towels and then transferred it to a greased 8 x 8 baking dish. 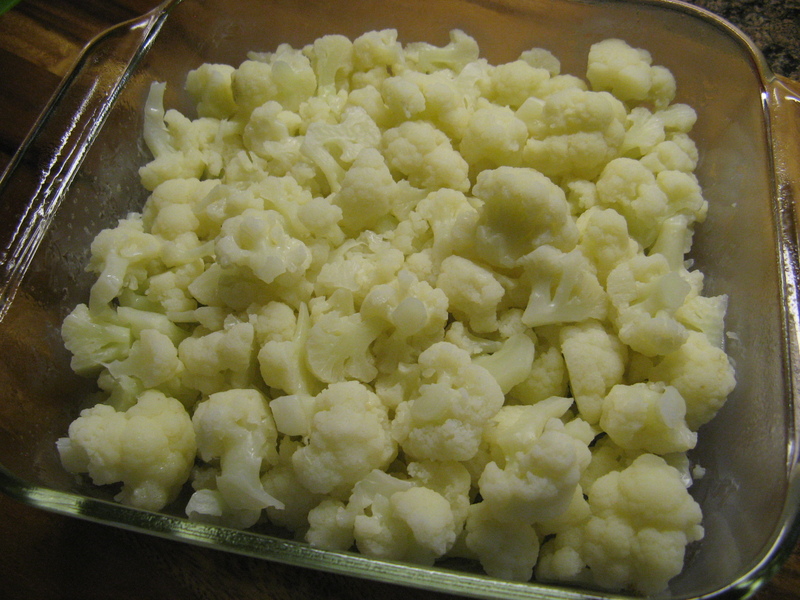 You could use frozen cauliflower and steam it in your microwave oven. Once again, don’t overcook it. Next, I made the cheese sauce. 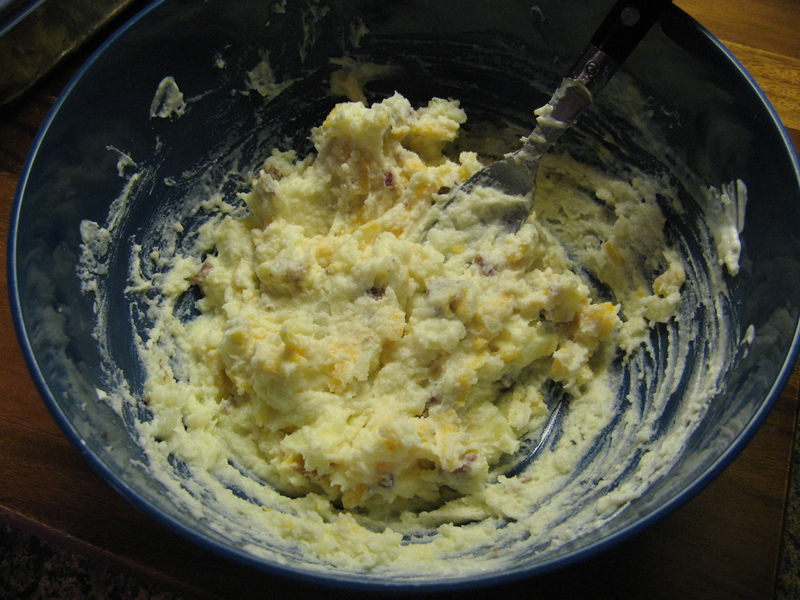 In a small saucepan I simmered heavy cream and then added in cream cheese and mustard, whisking it until it was smooth. I then stirred in cup of cheddar cheese, salt, pepper and garlic powder until the cheese melted. Not a fan of cheddar, try mozzarella, Monterey jack cheese for a little kick, or a combination of your favorite cheeses. I then poured the cheese sauce over the cauliflower, stirred it together and then topped it with more shredded cheddar cheese. 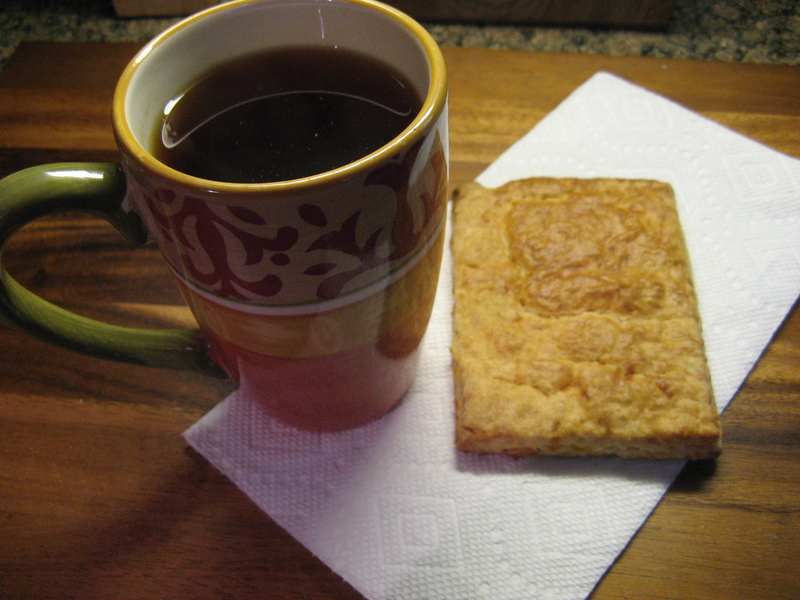 I baked it in a preheated 375 oven for about 15 minutes and it was ready to enjoy. 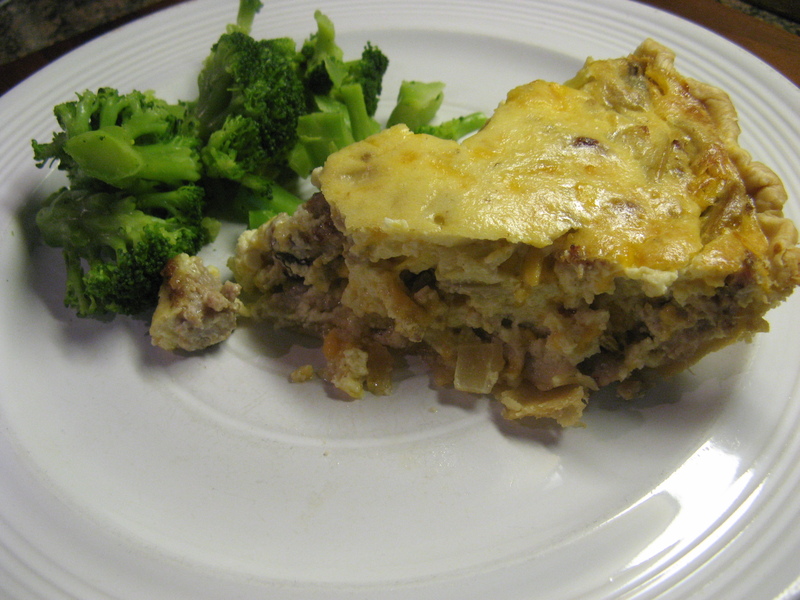 This recipe would also be delicious with broccoli! 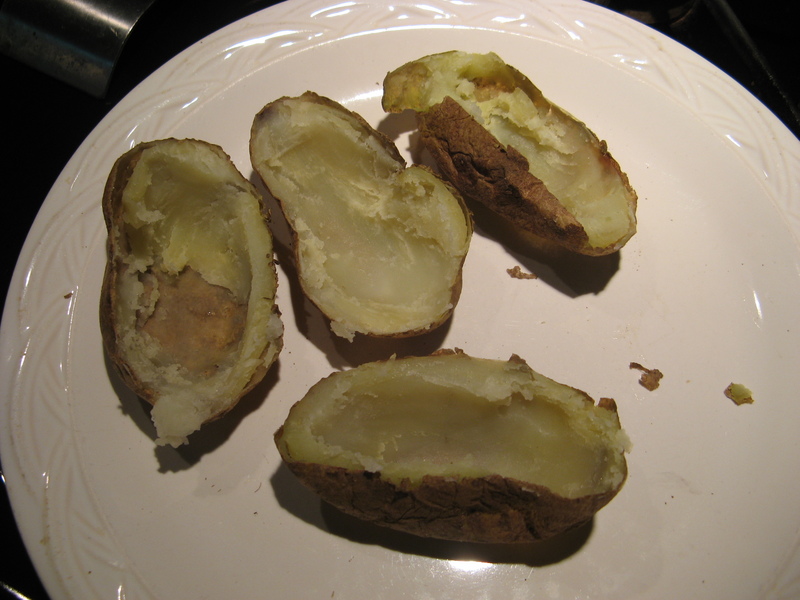 Preheat oven to 375 F. Butter an 8 x 8 baking dish with butter, or spray with cooking spray. Bring a large pot of water to boil and season with salt. Cook the cauliflower in the boiling water until crisp tender, about 5 minutes. Drain and then pat dry between paper towels. Transfer the cauliflower to the prepared baking dish. 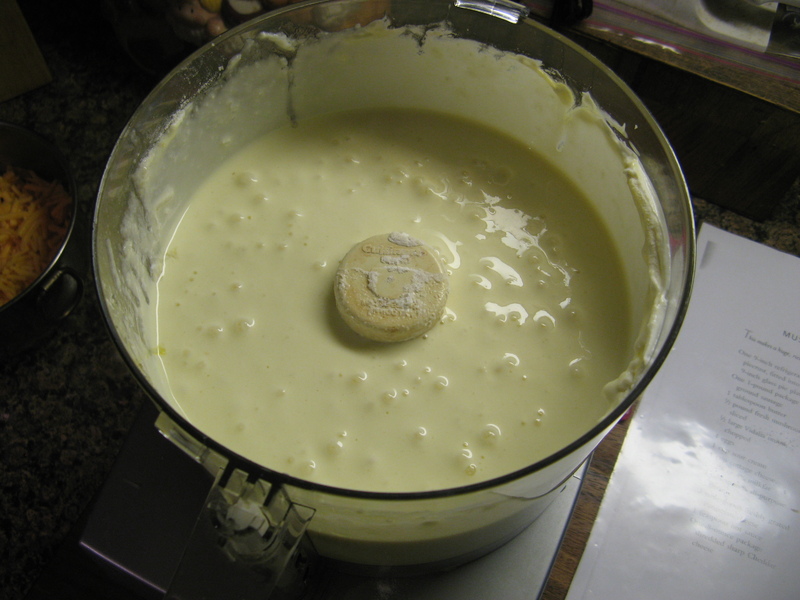 In a small saucepan bring the heavy cream to a simmer and then whisk in the cream cheese and mustard until smooth. 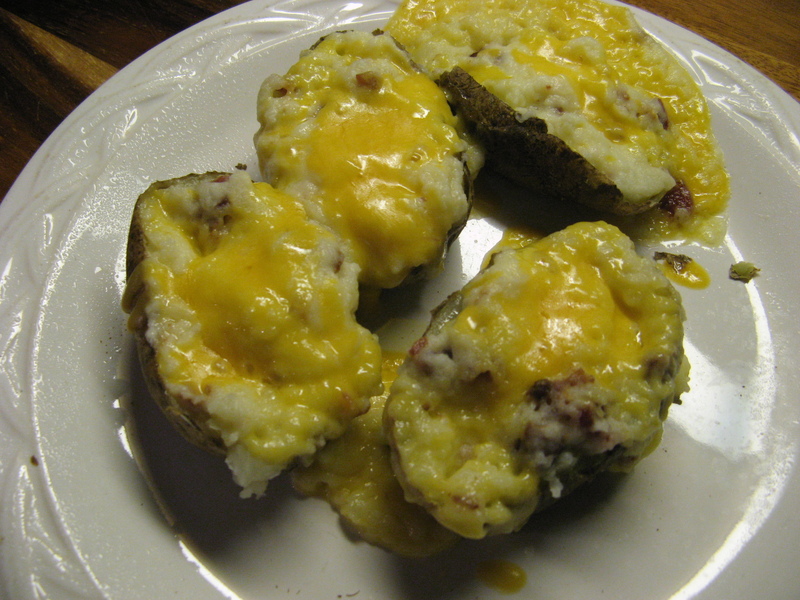 Stir in 1 1/2 cups of the cheese, salt, pepper and garlic powder and continue whisking until the cheese melts. Pour the cheese sauce over the cauliflower and stir to combine. 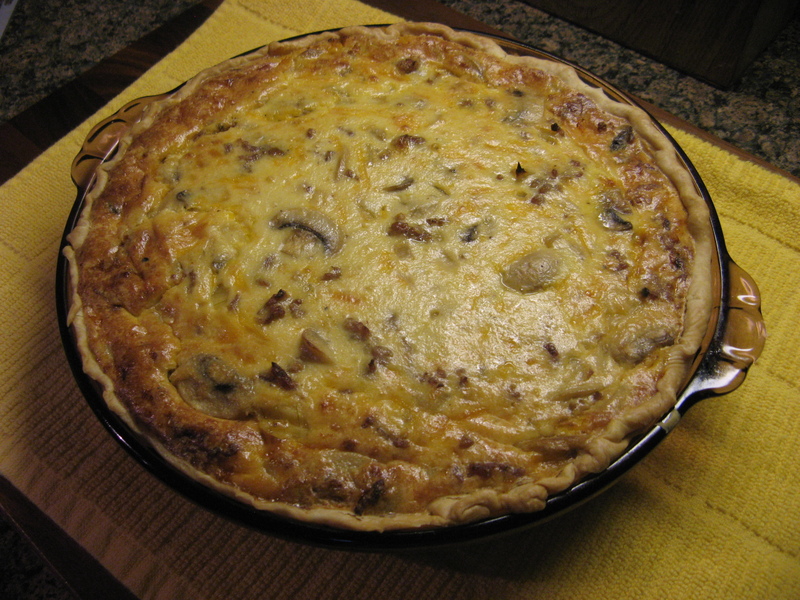 Bake in the preheated oven until browned and bubbly, about 15 minutes. 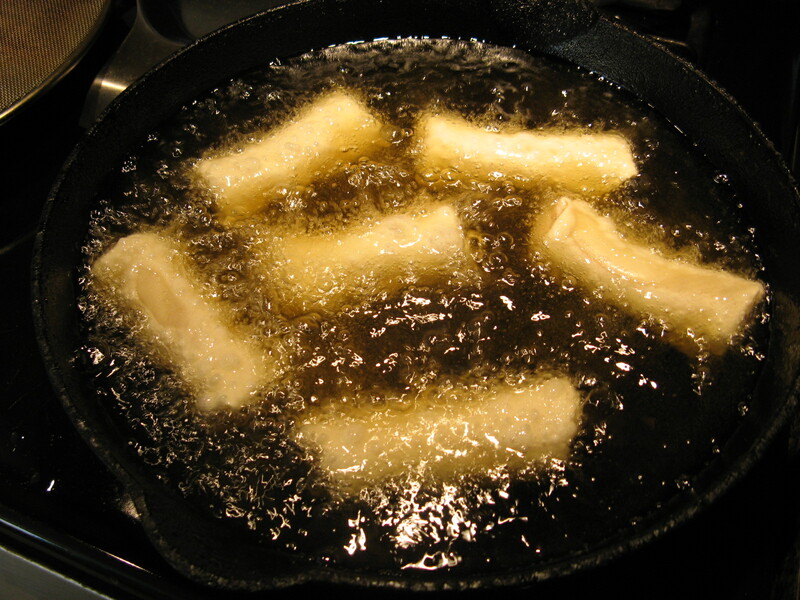 You may recall a while back I made Chicken Egg Rolls that were super simple and quite delicious. 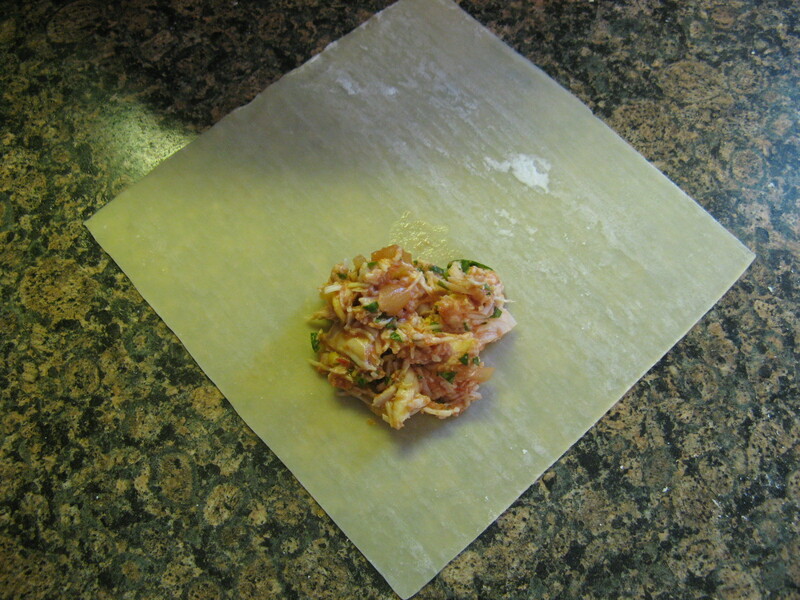 Well, the wrappers I used came with a few more recipes and I finally got around to trying one of them out… A Southwestern Chicken Egg Roll. 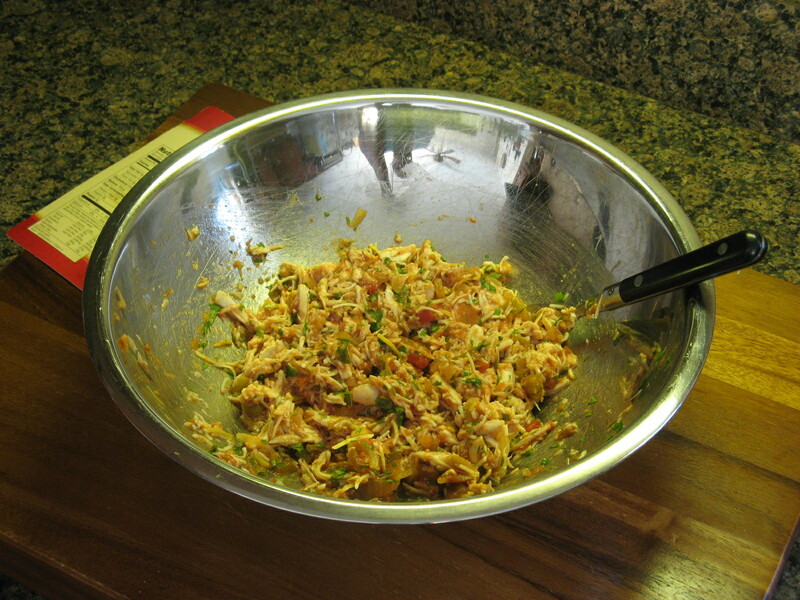 I began my mixing together chicken, cilantro, salsa, jack cheese and fresh lime juice in a bowl and chilled it in the refrigerator for a few minutes. Instead of cooking chicken I opted to pick up a rotisserie chicken from Costco… they are cheap enough and then I have leftovers to make other things or for lunch. I should note that the original recipe also called for a slice of avocado in each egg roll and while I had every intention of adding it, my avocado never ripened properly. On a side note, have you noticed that the price of avocados is rising and they don’t taste as good? I guess once something goes mainstream prices must rise. There is that whole rage of avocado toast now, can I just say that I have been eating avocado on bread – as I always have referred to it as – for years, way before it was cool… LOL! 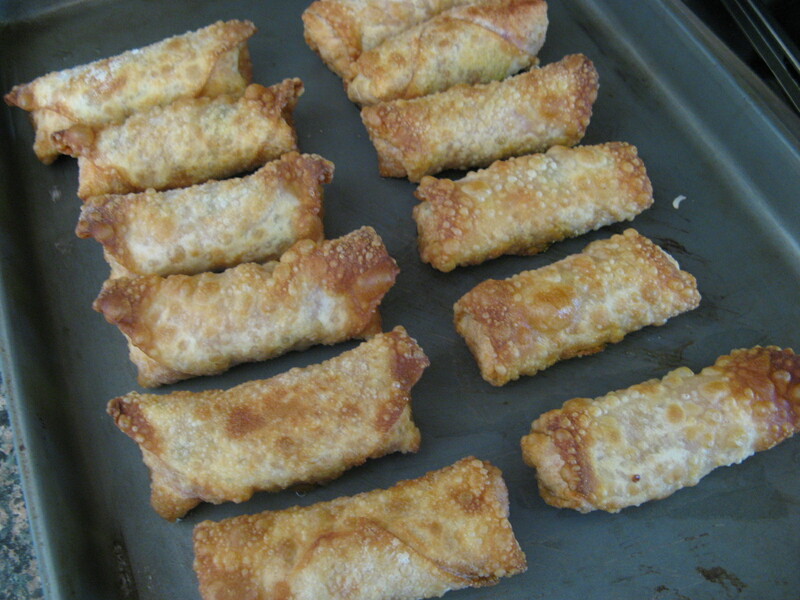 Next, I filled the wrappers and folded them to create the egg rolls. 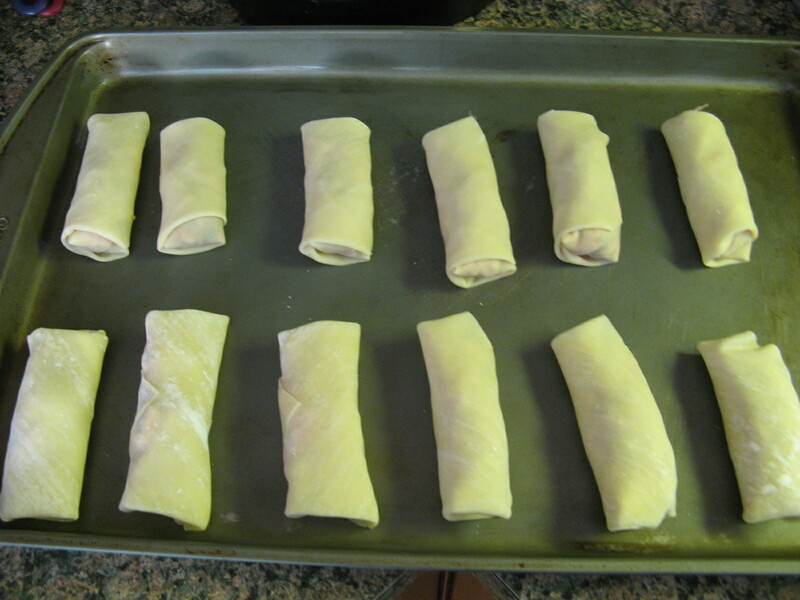 Then transferred them to a baking sheet…. 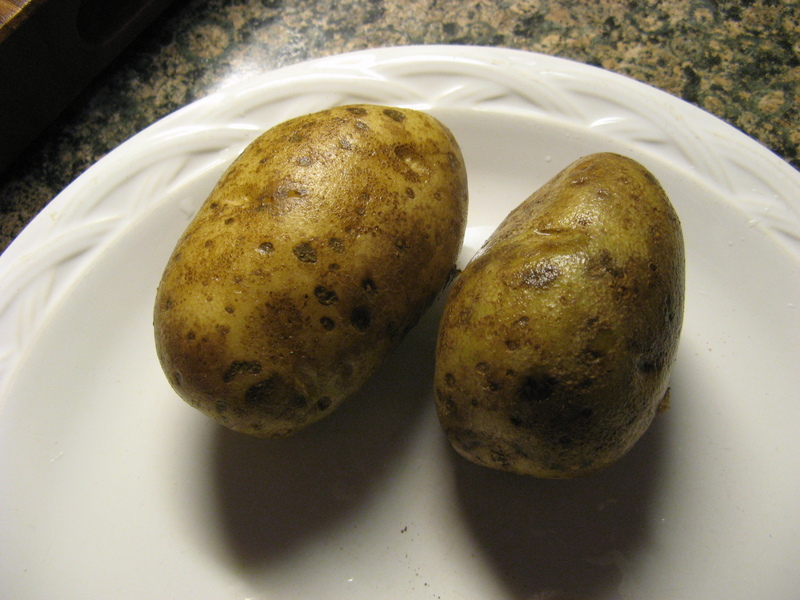 To then bake them in a 425 F oven for about 4 minutes – until they were crispy and the filling was hot. There’s no need for a dipping sauce for these egg rolls as the salsa added to the chicken mixture kept the filling moist and quite honestly I didn’t miss the avocado! I can’t wait to make these again! Mix chicken, cilantro, salsa, cheese and lime juice together in a bowl and set aside in the refrigerator to chill for a few minutes. 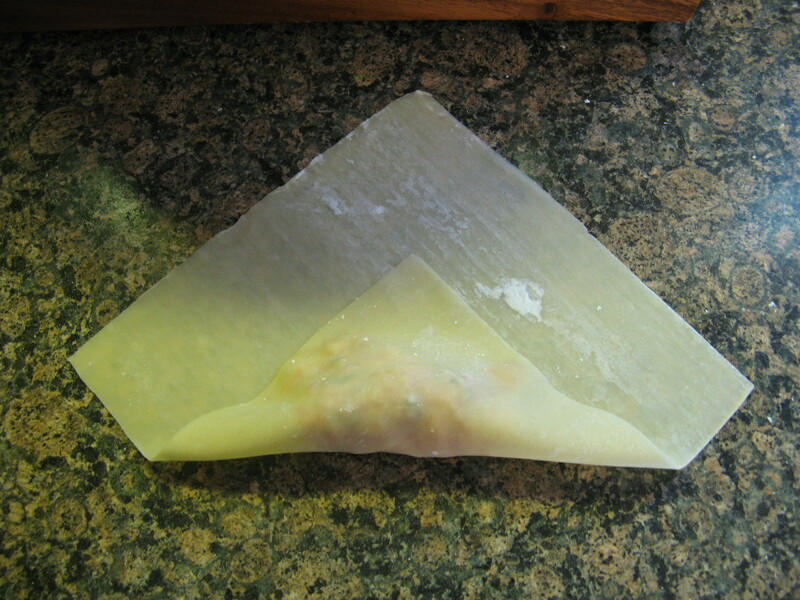 With a wrapper in front you in a diamond shape moisten all 4 edges of the wrapper. 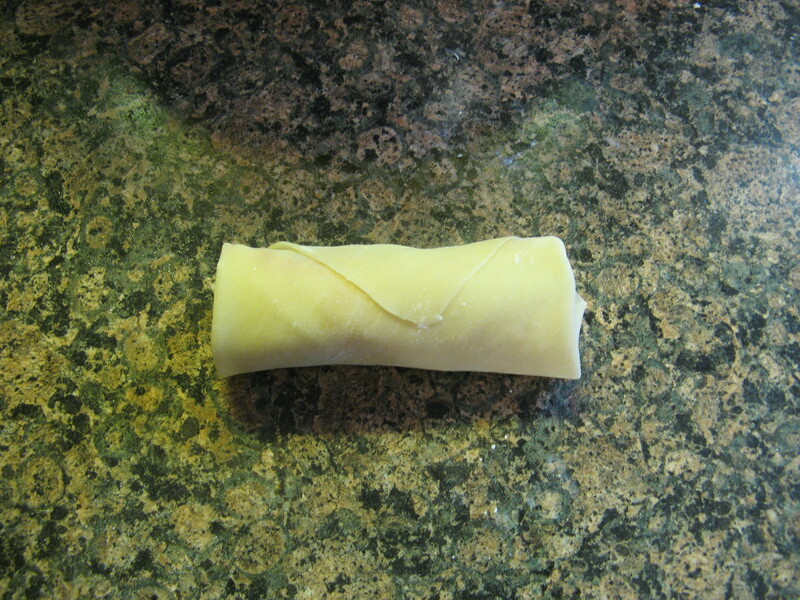 Place 2 tablespoons of the chicken mixture just below the center and fold up the bottom corner, then fold in the sides and finally roll the egg roll and seal the top corner. 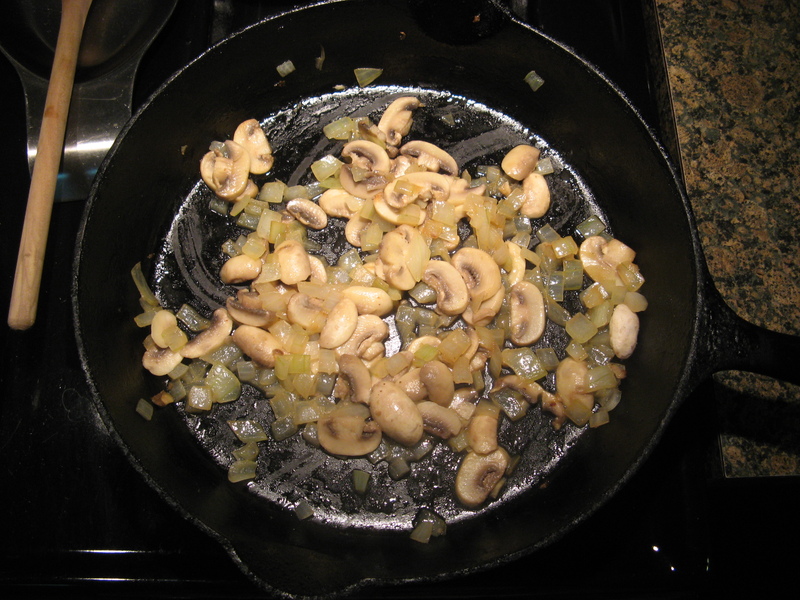 Fry for 2 minutes in 350 F oil and then place on a baking sheet. 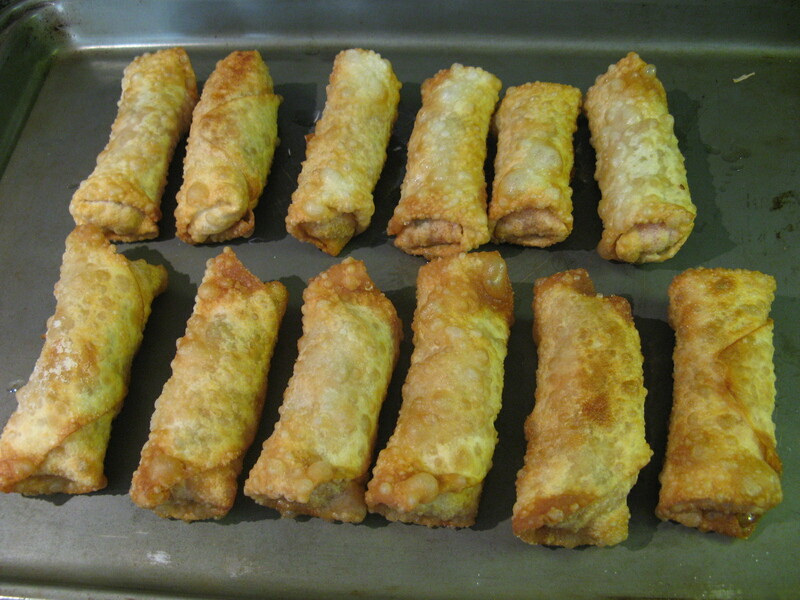 Once all the egg rolls have been fried place the baking sheet in the oven for 3-5 minutes until the egg rolls are crispy and the filling is hot. 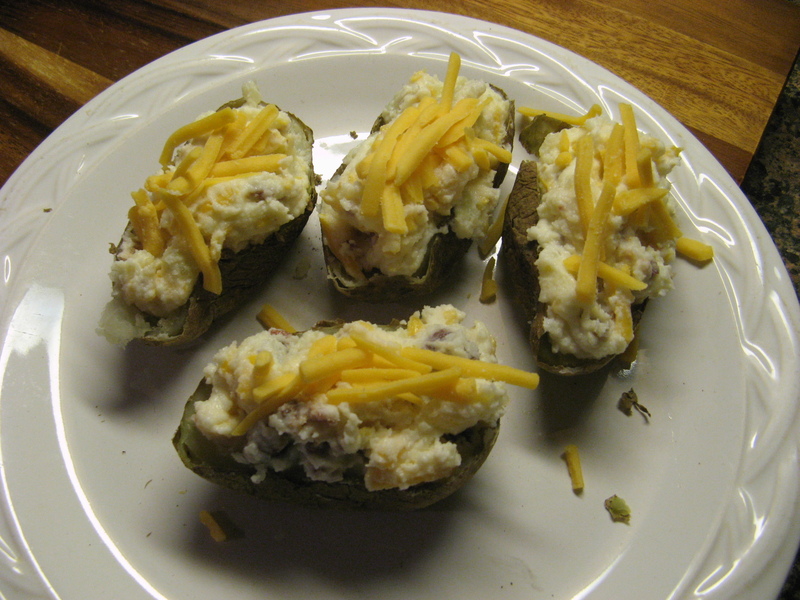 As the days start to get warmer I am trying to find things to make in my slow cooker that aren’t too heavy. This Corn Casserole fits the bill and it’s perfect for warmer days when fresh corn starts flooding your supermarket and you don’t want to turn on your oven. 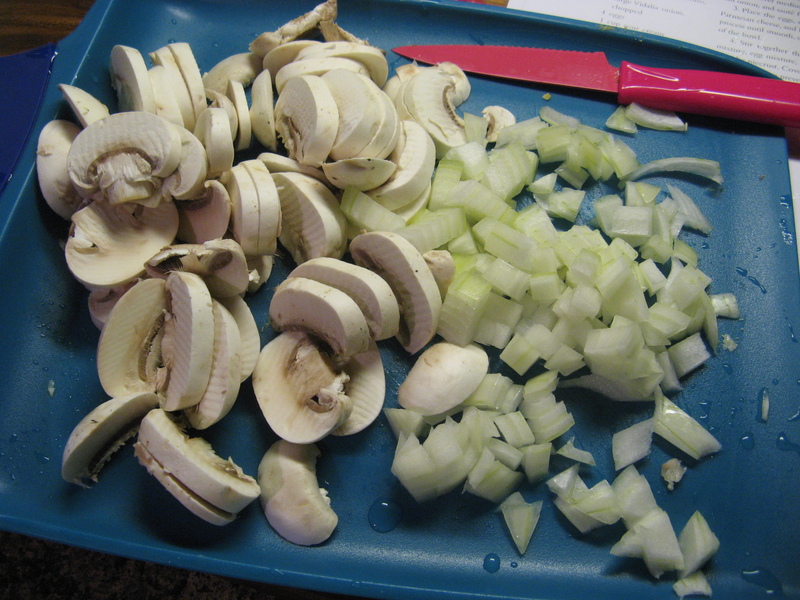 I started off by mixing all the ingredients together in a large bowl. I started off my creaming sugar and cream cheese together. Then adding in two eggs. 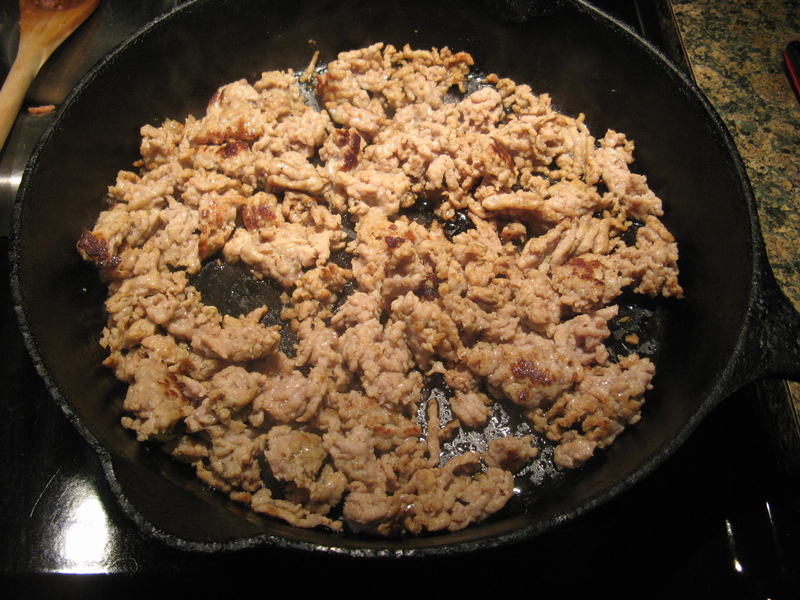 Next, I stirred in the dry in the dry ingredients – flour, cornmeal, baking powder, salt, pepper and cayenne. 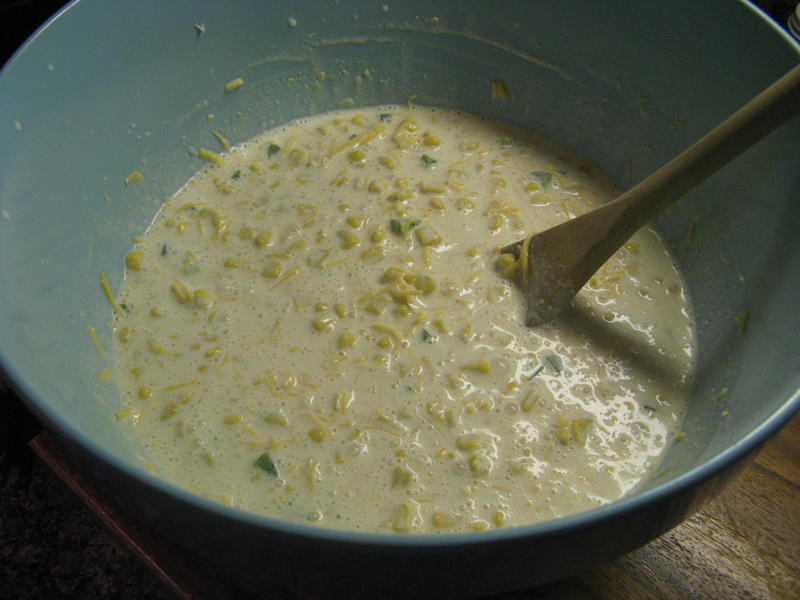 And then some more wet ingredients – melted butter, mill and heavy cream. 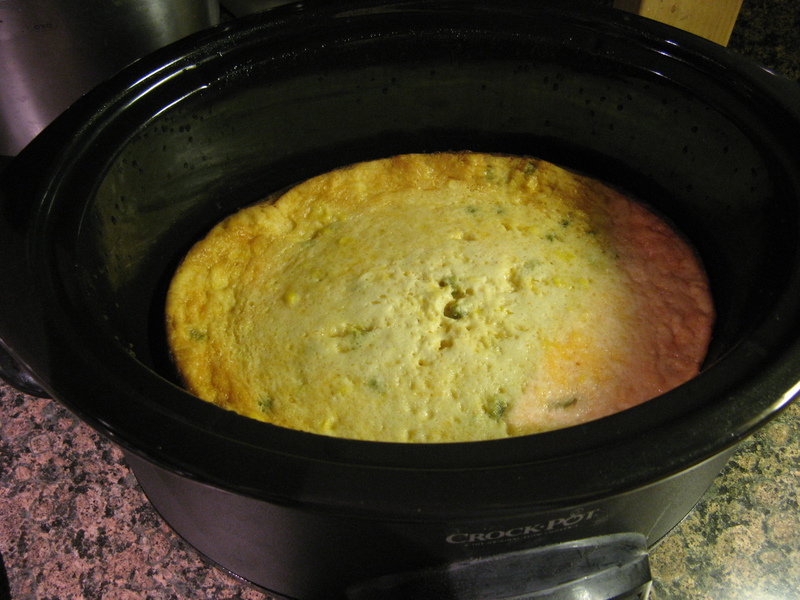 And finally, I stirred in a chopped jalapeno, cheddar cheese and corn. I used frozen corn, so, in order to thaw it out I left it in a bowl on my counter for a few hours stirring it occasionally. I then poured the mixture into the insert of my slow cooker that I generously sprayed with cooking spray. I covered it and set it took to cook on low for about 4 hours. I knew it was ready once it was set in the middle and the delicious aroma started filling my house. Now, I made the big mistake of trying to remove the casserole from my slow cooker while it was still warm, so, it broke apart. I “saved” it by just scooping it into a glass dish. Trust me it didn’t alter the delicious flavor one bit. To avoid my mishap, I suggest you remove the insert from the slow cooker once the casserole is done and let it cool a bit. In a large bowl, cream together the cream cheese and sugar until fluffy. Beat in the eggs, one at a time. Stir in the dry ingredients – flour, cornmeal, baking powder, salt, pepper and cayenne pepper, mixing the ingredients together well. Add in the melted butter, milk and heavy cream. 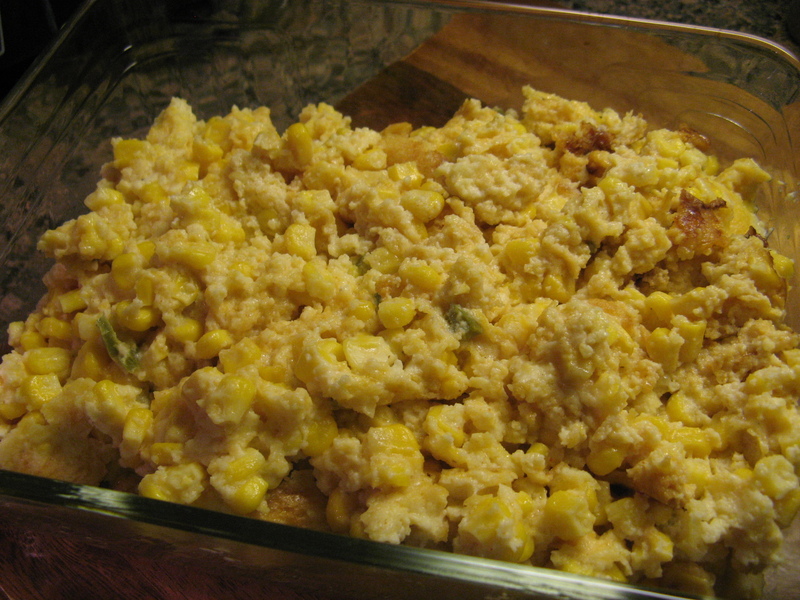 Once everything is well combined, stir in the jalapeno, cheddar cheese and the corn. 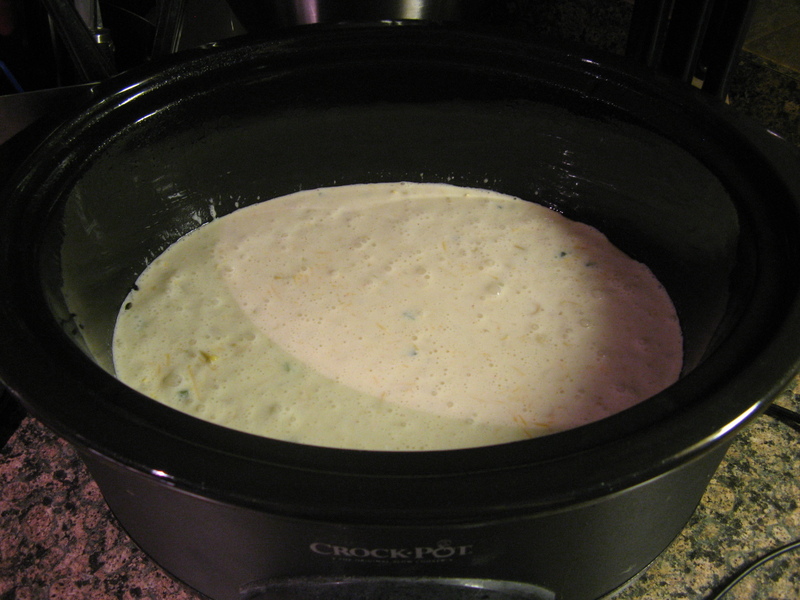 Pour the mixture into the slow cooker and cook on low for 3 1/2 to 4 hours. Until the center is set and the top is puffy. We’ve all been there, a mishap in the kitchen. Could it be the recipe, a missed ingredient, an incorrect measurement or maybe it was just an off day for your oven? 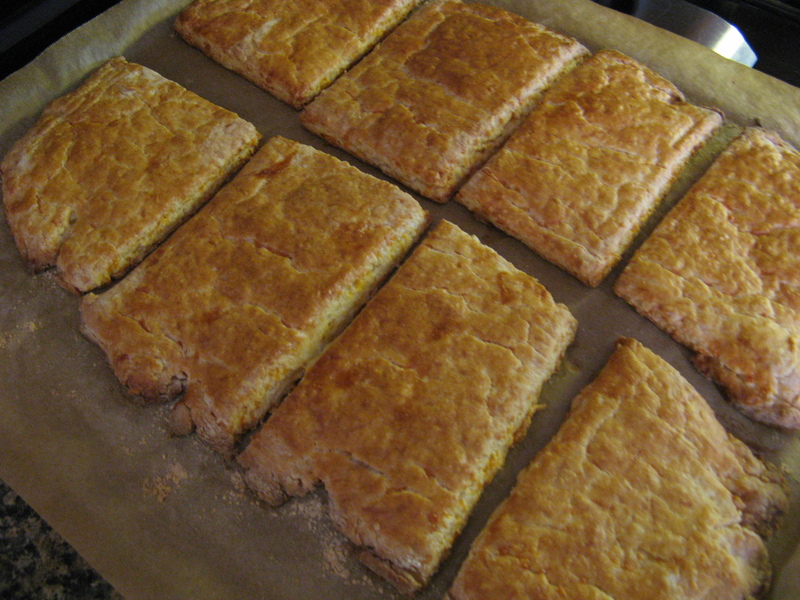 I had one of those mishaps happen to me recently when I made Buttermilk Cheddar Biscuits. I had some leftover buttermilk in my fridge from a previous recipe and I didn’t want to go to waste and I wanted to make something different; I’ve never made biscuits before. Unfortunately my biscuits didn’t rise and I ended up with some pretty flat biscuits – I don’t even think I can call them biscuits. I’m still not sure what exactly went wrong. My prep work seemed to be just fine… I started by putting flour, baking powder and salt in the bowl of my stand mixer. 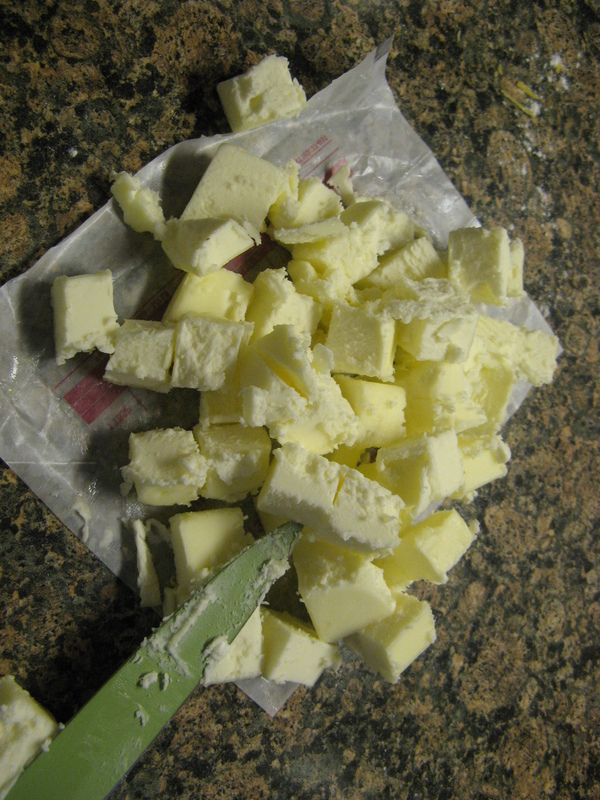 With the mixer on low I added in cold diced unsalted butter. 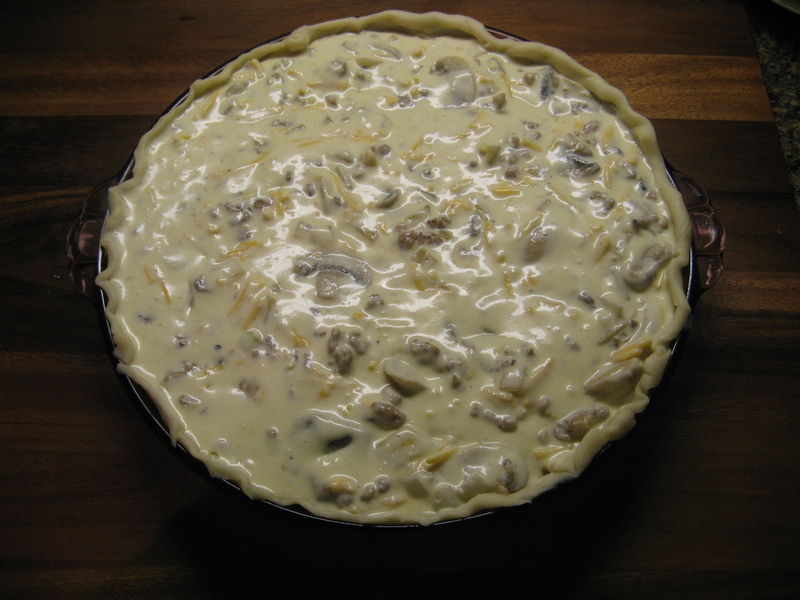 Once the butter looked like small peas I added in a buttermilk / egg mixture and continued mixing the ingredients until the mixture was moistened. In a small bowl I combined shredded cheddar cheese with a small handful of butter. 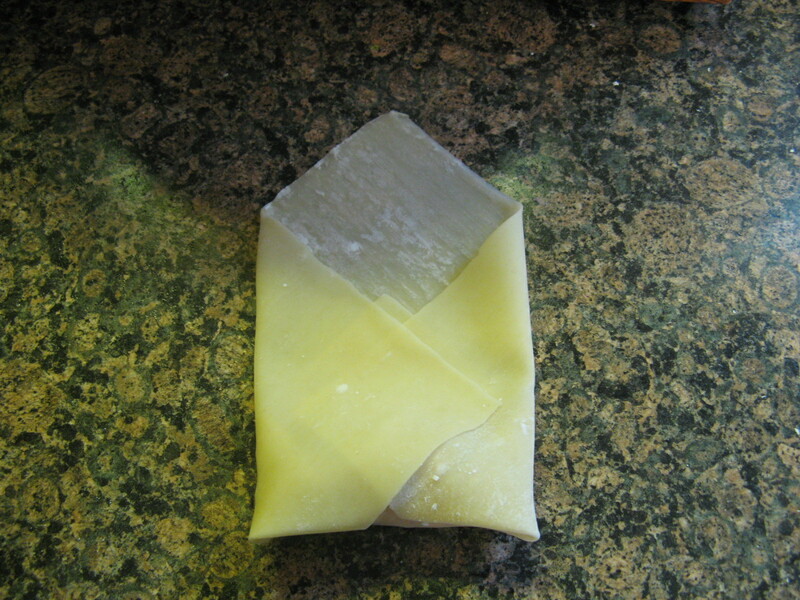 After adding in the cheddar to the dough I dumped the dough onto a well-floured surface and kneaded the dough a few times and then rolled it into a rectangle. I then sliced the dough into 8 pieces and placed it onto a parchment lined cookie sheet and brushed them with an egg wash.
After baking in a 425 F preheated oven for about 25 minutes this is what I got… Flat biscuits. Luckily they tasted really good and were a nice breakfast treat the following morning with my cup of tea! Thankfully my mishap wasn’t a total loss. What kind of mishaps have you encountered in your cooking and baking adventures? 2. 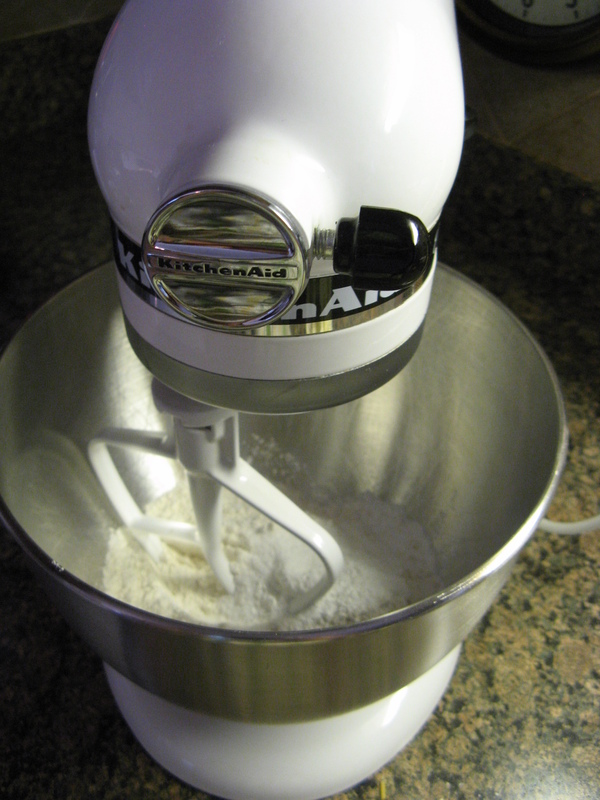 Place 2 cups of flour, the baking powder, and salt in the bowl of an electric mixer and mix on low. Add the butter and mix until the butter is the size of peas. 3. 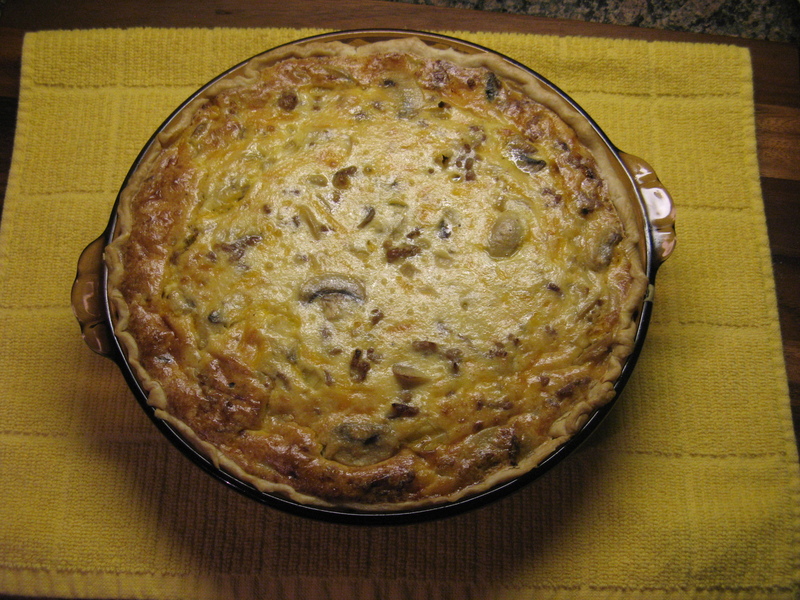 Combine the buttermilk and egg in a small bowl or measuring cup and beat lightly with a fork. 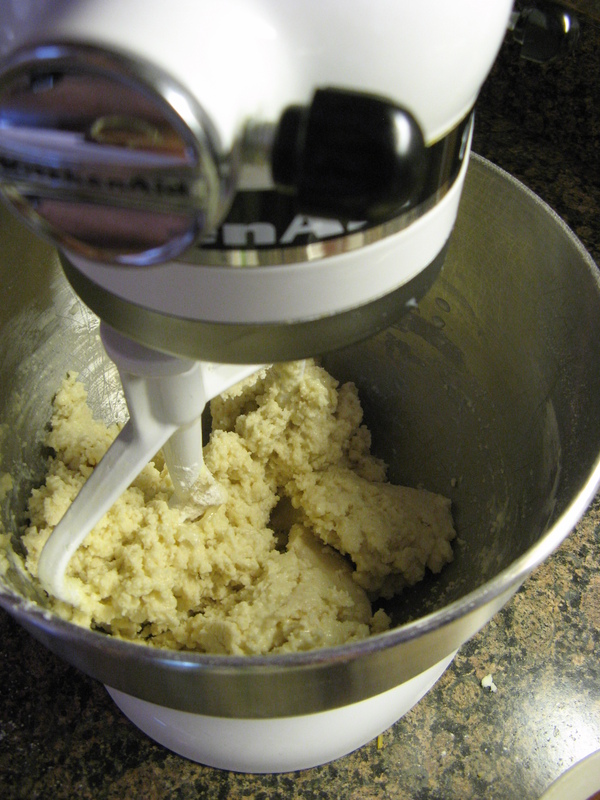 With the mixer still on low, quickly add the buttermilk mixture to flour mixture and mix only until it’s moistened. 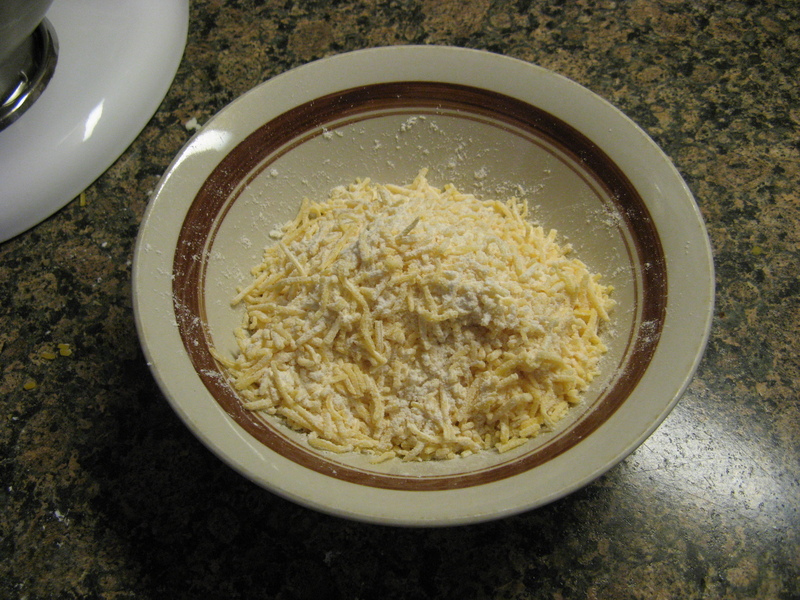 In a small bowl mix the cheddar cheese with a handful of flour. 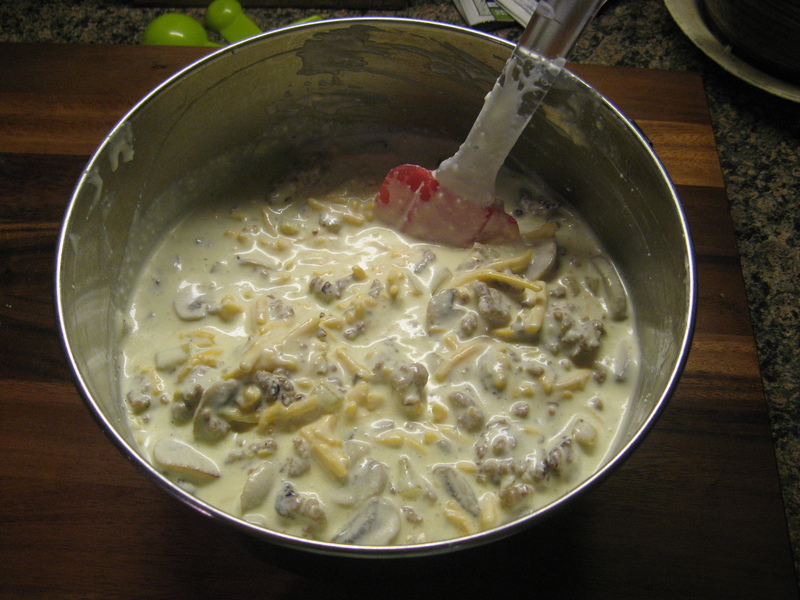 Add the cheese to the dough, still mixing it on low, and mix until roughly combined. 4. Dump the dough onto a well-floured surface and knead lightly about 6 times. 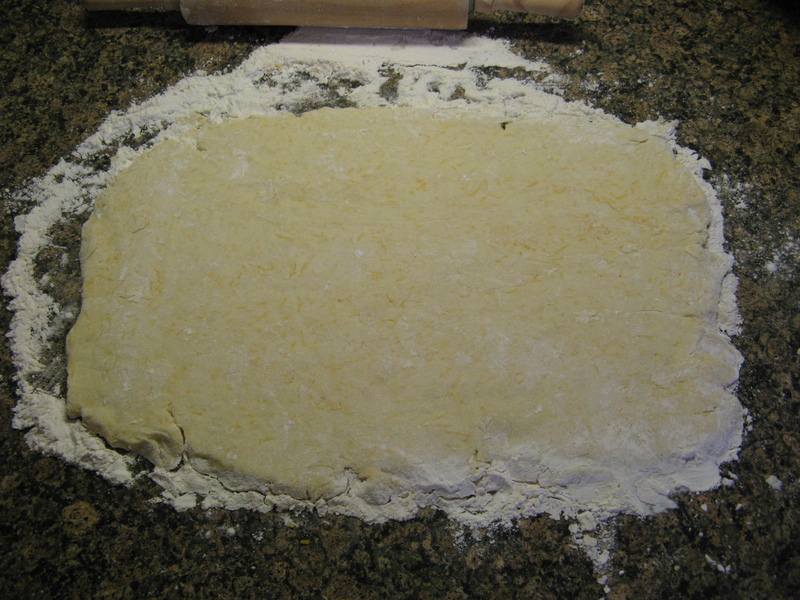 Rolled the dough out to a rectangle (10 by 5 inches.) 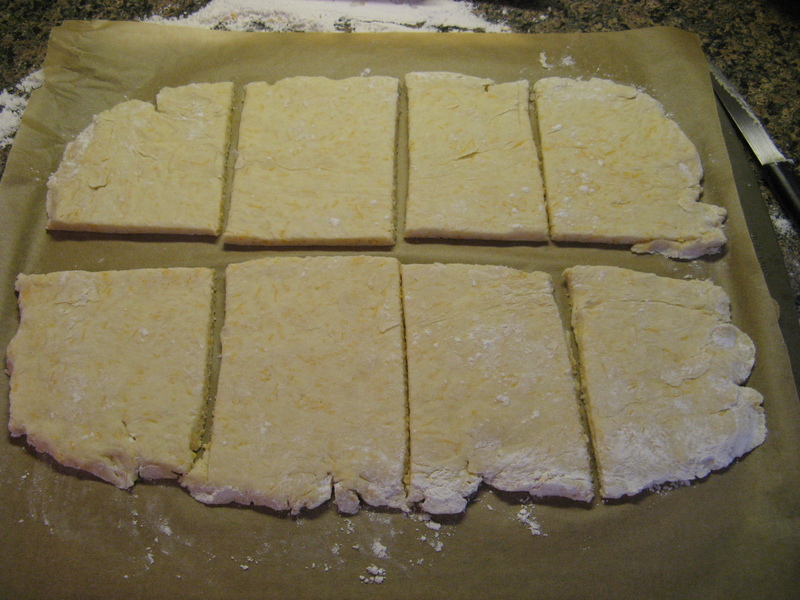 With a sharp floured knife cut the dough lengthwise in half and then across in quarters, making 8 rough rectangles. Transfer to sheet pan lined with parchment paper. Brush the tops with the egg wash and bake for 20 to 25 minutes, until the tops are browned and the biscuits are cooked through. Can serve hot or warm.